The Fisco Fibar Fibreflex™ glass-fibre tape is a ruggedly constructed closed case tape designed to withstand heavy usage in demanding conditions. Corrosion resistant steel case with grey finish. Fibreflex™ glass-fibre tape with protective coating. Corrosion Resistant end-piece with stainless steel claw. The Fisco Fibar Fibreflex 10m/33ft glass-fibre tape is a ruggedly constructed closed case tape designed to withstand heavy usage in demanding conditions. Available in various lengths. 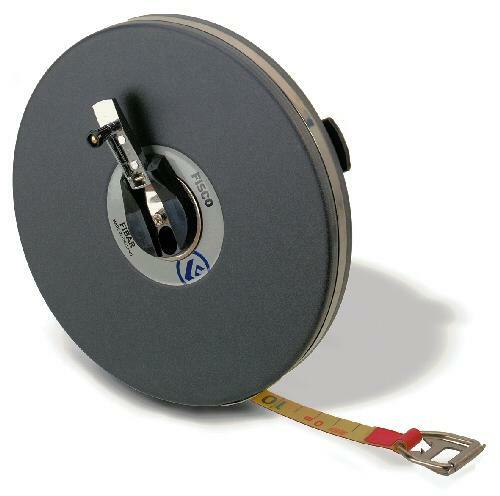 The Fisco Fibar Fibreflex 20m/66ft glass-fibre tape is a ruggedly constructed closed case tape designed to withstand heavy usage in demanding conditions. Available in various lengths.